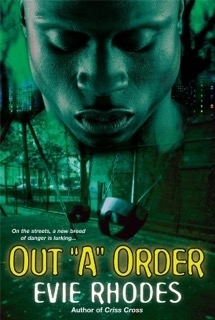 Synopsis: Newark, New Jersey's Central Ward is home to some of the most notorious, ruthless thugs alive. It's also home to citizens who are struggling to have a better way of life. Citizens trying for a second chance, like ex-convict Shannon Davenport, whose eight-year-old daughter Jasmine is the light of his life. But when Jasmine is cut down by a sniper's bullet, Shannon vows to find his daughter's killer . . . But Jasmine is not just another innocent casualty in the world of gang warfare. There's something more sinister than Shannon can possibly imagine. A legendary curse cloaks the Ward in an invisible shroud, poisoning its residents, destroying their minds-and their souls . . . As Shannon's obsessive search for his daughter's real killer drives him to the edge of insanity, an evil spirit remains loose-and those who die young, escaping with their souls, are the lucky ones . . .